My love of cooking knows no bounds. When I see new kitchen equipment advertised I get all jittery and excited! New electric can opener? That’s for me! New santoku knife? Gotta have it! Rice cooker, slow cooker, pressure cooker, any kind of cooking cooker…they are all something I NEED! Right? Wiseguy can you tell you that I drive him bonkers with my explanations and sales tactics on why I NEED this culinary equipment. With all my kitchen (toys) supplies, there is definitely one thing I have never regretted purchasing and Wiseguy agrees it was, and is, my best purchase. It still works as well as it did 20 years ago and we use it every day. Not just once, but sometimes two to three times a day. My luxurious kitchen splurge was a simple, yet elegant, and EXPENSIVE pepper mill. What is so special about a pepper mill you may ask? If you use pepper like we use pepper, you will notice the flavour difference between pre-ground pepper and fresh ground pepper. To give you a better understanding, compare it to coffee. If you have fresh coffee beans that you grind up with each cup of coffee and compare it to pre-ground coffee that as been getting air time, you will notice the difference in the smell and the taste. Pepper to me is like fresh brewed coffee. I first recall having fresh ground pepper at a restaurant. The server came around with a grinder for parmesan cheese. Being a cheese-a-holic I had my plate blanketed in cheese (it was a lovely snow-top on my caesar salad). I was ready to dig in when she came back and asked if we would like fresh ground pepper. After our replies of “yes please” she whipped out a large baseball bat from behind her back, faced the end toward my cheeserific (from my dictionary meaning very, very, very delicously cheesy) salad, then began twisting the top in a clockwise motion. I could smell the pepper as it floated gently through the air and landed sporadically over my white, fluffy parmesan cheese. It smelled good. It tasted even better! Seriously, if you have ever used a pre-filled pepper shaker, you will notice that you need A LOT of pepper in order to get some sort of peppery flavour. Not so with the pepper mill. That fresh ground goodness is incredible. It might make you sneeze, but it’s still incredible. After that, I yearned for the flavour of that freshly ground spice. My desire was fulfilled one day whilst I was working at the mall. I was on my lunch break and I ventured into an area of the mall that I had not frequented before. I came upon a store that had a mandoline displayed. No, not a mandolin, but a mandoline; a food slicer. New kitchen toy! It was shiny, stainless steel. It looked incredible! It was also almost $200.00. My hourly wage was $8.35 so that was quite a lot of money for a new toy. I couldn’t come up with justification for purchasing that glorious item. Suddenly, something gleamed out of the corner of my eye. The track lighting was shining down on something. I moved in for a closer examination and I saw that it was a smaller version of the baseball bat (a.k.a. pepper mill) from the restaurant. The day of reckoning had come. The sales associate came over to explain the benefits of this particular pepper mill. Benefits? I had worked in retail sales long enough to know a sales pitch when I heard one. She: This is a Peugeot pepper mill. I’m not sure if you knew or not, but they are made in France by renowned mills and grinder specialists. She: You will love this particular model. At the bottom there is a dial so you can choose what size grind you would like. She: You can go from a coarse grind, which is great to make peppercorn steak, or a fine grind, good for soups and salads. Me: *look of shock. Mouth drops open. Say wha-what? She pulled out a nice, white sheet of paper and proceeded to show me how each of the six grinding levels ground the peppercorns. Hallelujah! I was in pepper heaven! She: It’s $82.00 and worth every penny. Me: *Eyes bulged out, mouth dropped open, speechlessness, catatonia. Me: Restaurants???? Ding! Ding! Ding! We have a winner! Wrap it up! Yup, I bought my Peugeot pepper mill 20 years ago (and withheld the actual price of it until about 4 years ago.) Even after the great reveal, Wiseguy agrees it was one of the best purchases I ever made. Since he was so impressed with that purchase I decided to wow him on his 50th birthday with A PEUGEOT PEPPER MILL! Not just any pepper mill, but the lazy man’s battery operated pepper mill AND salt mill. But that’s not all! How about lights? Yes, as you hit the magic button to grind your pepper (or salt), a light shines down. Oh yes, it’s the Peugeot Elis Electric Salt and Pepper Mills. Hallelujah it’s Pepper Heaven! A match made in heaven. The old and the new living happily to grind another day. It’s days like these that I don’t mind the daily grind. You may be thinking that I am going to talk about relationships and what it’s like when you find your perfect mate for life. Nope, it’s not that. Then maybe it’s about diet and weight loss and finding that perfect fit for your body. Nah…that’s been overdone. Truly there are many things that could apply to this two-word challenge. However, the one I am speaking of is one that I instigated upon myself. It is the challenge of finding a container that will fit leftover food without leaving space between the food and the lid. Let me give you a bit of background on how this obsession of mine started. If you came to my house and checked out my pantry shelf in the basement and my fridge and freezer (yes I have extra appliances in my basement as all good Croatians do), you could probably go shopping. I should supply little baskets. Now, Wiseguy is always telling me to stop overstocking, especially now that it is only the two of us in the house. I, however, disagree. It’s not that we have fewer people in the house, we now have waaaay more people coming for meals now that the children are all coupled and have children of their own. There is a need for more food. (Please feel free to begin your own discussion on this matter). This was a nasty habit I picked up from my mother. My parents were raised in a village. They literally grew up in tiny homes that were overcrowded with children (free labour). When they came to Canada it was important to stockpile food stuff to ensure they would never be hungry again. I myself did not grow up hungry, but that habit of my mother’s for being prepared was ingrained in my head. However, hubby is always saying he can’t see the light on in the fridge because of all the leftovers and the potential “throw away” food. There you have it. My need to condense our fridge co-habitants. Hubster will open the ice box and see a plethora of food and all I see are half filled containers of leftovers. If we start making dinner using previous meals and a container is left half full, I will seek out a replacement that will fit the contents precisely. My obsessiveness is actually something that I have passed on to the kids too. They now challenge themselves when they help me clean up after a meal. They even do it in their own homes. Yes, my craziness has rubbed off on them. It’s quite entertaining to watch Wiseguy watching his children mimic my obsessiveness. I’m quite proud of it. Anyway, you must be wondering…how is this a challenge? You may think this is a simple thing. Nay I say! Have you ever had your spouse/friend/family member/acquaintance put leftover spaghetti in a container and it only fills half the bowl? How horrible! What a waste of precious fridge space. My goal is to find the correct container…on the first guess! Anyone can start putting stuff into a larger container than is needed. Pshaw! Way too easy. How about the times you start off with a small container and you misjudged the interior expanse. Oh me, oh my! Not only do you need to peruse your cupboard for a new receptacle, but now you have to wash the one you had previously chosen. FAIL! Allow me to show you the difference between a PASS and a FAIL. This is how things used to be put into my fridge. Egad! Here was my most recent challenge. I boiled macaroni. Part of it was for a casserole and the rest was going to be leftovers for my lunch or perhaps even dinner the next day. As you can see, macaroni in pot. Next was my chosen container. It was going to be tight, but I think I eye-balled correctly. Then halfway up the container and still more pasta to go. I took a quick gulp and hoped for the best. Seriously. The cover fit. All the elbow macaroni is contained. NO…I did not eat any of it. No cheating with this game. For all you OCD (Obsessive Compulsive Disorder) darlings out there…this is a boon for you. It may seem so simple and irrelevant, but once you start you will catch the bug. It’s all about finding the “perfect fit”. And if you are high falutin, you can rename it (as I used to call it) “The Tupperware Challenge”. Although I don’t write about it much, I am a foodie. I loved the Food Network…when it first came out. It was great watching chefs showing you how to prepare meals. I learned a lot. What do I see now on the foodie stations? Competitions. I believe I have come up with a new concept that I want to pitch to the “foodie” networks. (Note: I should probably copyright this as someone is going to read this and steal my idea.) A new cooking show that involves: COMPETITION! (I know, right? A very novel and inspiringly new idea). Before I reveal my superb revelation, think about all the competitive cooking shows on tv right now. It’s the same trifecta: 1) Judges 2) Chefs 3) Time limit. Who can bake the greatest cupcake in the shortest time? Who can use the weirdest ingredients to make meals (again, clock is ticking)? Which child can create exotic meals and desserts. As time passes, I see that there are more and more cutthroat culinary shows being created. I figured, why not jump on the bandwagon and create another show? My genius idea came to me suddenly while I was watching Chopped. The gem of an idea began brewing in my grey matter whilst observing my toddler grandchildren eat. An absolutely brilliant idea for a new show. It follows along the same lines of the other challenging cooking shows so it should be accepted into the fold. It’s dastardly and degrading and demeaning (the dream “D” formula for television shows). Here is my idea: You want belittling? You want chefs to be tortured? You want to watch failure to the umpteenth degree? I give you Chefs Chopped! Yes the new and exciting show where trained chefs prepare meals for a panel of toddlers. You want a challenge? I am throwing down the gauntlet. Conclusion: Lack of food makes you eat everything without complaint. Child: (*through tears) I don’t like it! Parent: Whack! Eat it or I’ll hit you again! After the beating era of life, came the more educated era where there were books and papers and magazines and shows FULL of information on how to raise the perfect child. This included healthy recipes for feeding your perfect child. After creating one of these wonderful masterpieces, the food would be placed in front of said model child. After much begging and pleading, ketchup would be doused all over the nifty, fancy food so that Perfect Child would eat SOMETHING…ANYTHING! Nowadays, it is even more difficult to feed your child. Allergies, preservatives, organic or non-organic, pesticides, hormones, cholesterol, saturated fats, etc. What can you feed your child? Well, if you listen to ALL the stories out there in web-world, your child should eat…nothing. Yes, it’s true. There is no good food out there. Well, there is good food this week…but next week it will be bad so best not to tempt fate. “Fruits and vegetables are good right?” Nope. Fruit is full of pesticides and many children are allergic to certain fruits. “What about the frozen ones?” Yeah…well welcome to E Coli. “My children are vegetarian (or vegan).” Good for them! They won’t survive the food devastation either. I have done the research. Between E coli, parasites, viruses, bacterias, hormones, pesticides, etc. there will be nothing nutritious left to consume. My homemade soup (with homemade noodles) has not killed or maimed any of them. It is actually requested. I get disappointed groans if it’s not on the menu. ANY pasta – lasagne, macaroni, fusilli, orzo…any pasta! Now…meats, cheeses, fruits, vegetables, preferences vary as they get older (or basically, every 2 minutes). Each week they decide what they like and don’t like. It goes from the initial “YAY” whoop of joy to the “BOO” 10 minutes later when it’s on their plate. Example: “Can I have that apple?” After two bites: “I don’t want it,” and the subsequent attempt to put bitten fruit back into fruit bowl. Next is the obvious grab for a different piece of fruit which eventually leads to cries of woe when they are informed that they must eat the two-bite-scarred apple first and THEN they can try something else. Ahhhhh…the great adventures of toddler palate. So, dear foodie channels, think about how fantastic this show would be! Children smiling, waiting for their food. Chefs cook and present their culinary masterpieces. Suddenly, [camera zooms in] child starts deconstructing the plate. Toddler Rule #1: Thou shalt not let one type of food toucheth another. That’s why many children’s plates are subdivided. Next: Food allergies. Must remove all fruit(s) that child is allergic to. The eating finally begins and then the contorted faces of disgust and the “Ewwwwws” and “Yucks” start to be heard. The Chef with the least amount of ewws and yucks wins! The others? Well if they haven’t run away or started convulsively crying…then they get chopped (like a karate chop hand coming down on their picture…haha!) What an amazing show! All done in the name of fun and supreme competition! Yes, I give you Chef Chopped! P.S. Dear foodie networks, I am available evenings and weekends for a meeting to discuss my future in the television industry. You’re welcome! Once upon a time there was a lovely young woman called Maryann. She had dark chestnut coloured hair (at that time…although now it’s purply-brown and was at one point very blonde and at times quite auburn) and ka-ka-brown cow eyes. Her smile was as large as Steven Tyler’s and she was very happy. There was one thing that Maryann hoped to do one day and that was to bake and decorate a chocolate cake. On this particularly sunny day, her wish came true. The ending, however, was not what she had expected. Maryann was thrilled to finally have a kitchen of her own. She had moved out of her parental home and was now in an apartment with her sweetheart, Wiseguy. It was also her sweetie’s birthday soon and she was going to bake him a lovely cake! Now, she knew that she had to start slow with her new hobby of baking so she decided to play it safe. She purchased a box of Duncan Hines chocolate fudge cake mix and debated purchasing the sugary, sweet frosting as well, but then decided that she would impress her loved one by topping her gloriously, chocolatey cake with REAL whipped cream. Yes! She would buy that 35% whipping cream, and make billowy, thick pillows of creamy goodness. Maryann also bought some candles and, to make it fun, cake writing gel to write “Happy Birthday” on it! What a wonderful surprise it would be for her hubby! “Ok,” she began reading, “preheat oven to 350 degrees”. She opened the oven door to ensure that there was nothing inside. Why? Because one day, at her mother-in-law’s house, she turned on the stove, smelled something funny after a little while and realized that there were pans with oil in the stove. YIKES! Lesson learned and etched her happy little brain. “Next I need to put contents of package into a bowl and add one cup water, 1/3 cup vegetable oil, and 3 eggs.” She had heard about this thing called mise en place which in French means something like “everything in it’s place”, but in cooking it means “make sure you have all your ingredients out and ready to go and also your measuring cups and measuring spoons and baking dishes…basically everything you need to make this cake should be right in front of you.” The pretty Maryann got out her measuring cup. She poured the oil into the cup (exactly 1/3 cup) and put it into the mixing bowl with the cake mix. Next, she poured one cup water into the measuring cup. Perfect! Into the bowl it went. She heard the oven ‘beep’ letting her know that the oven was preheated to 350 degrees. Yay! Time to get mixing! She whipped that batter with an electric mixer. A couple of taste tests to remind her of her childhood. After a few minutes she stopped the mixing and eased her lovely greased cake pan closer to the bowl. She emptied the fluid, chocolate contents into the cake pan. With her spatula she tried to get every last bit out of the bowl into the cake pan to make sure she had a nice, big cake for Wiseguy. Tap, tap, tap to even it out and then into the oven it went. She set the timer for 30 minutes (it was a rectangular 9″ x 13″ pan). She couldn’t wait until it was done! After 15 minutes she tried to cut out a piece. It crumbled in her hands. Huh? It tasted fine, but it all fell apart, like cereal out of its box. The lovely Maryann had to admit that she would never, ever be a baker of anything. She went back to her kitchen counter to gather up everything to wash when she noticed something odd. Three large size eggs were sitting on her counter. Why were there eggs on her counter? Had she taken them out to make something else? She HAD put those other 3 eggs into her cake mix right? She looked at them. With the suddenness of a swooping eagle going for its prey, Maryann realized, “Oh my! I forgot the eggs.” Yes, if you look back to paragraph 4 (it begins with “Next I need to”) you will indeed see that after the ‘ding’ of the oven the eggs were omitted prior to the exuberant mixing. There you have it. The story of the lovely Maryann and her first attempt to bake something. She didn’t give up though. She now bakes cookies, pies, pretzels, oh and boxed cake mixes. Maryann learned from her mistake, was grateful to have learned it and is now excited when trying new recipes. Mise en place is her motto and way of baking and cooking. Moral of the story: If at first you don’t succeed, be grateful that you had the mistake to learn from and use it to make greater things in your life. If at first you don’t succeed remember “mise en place”, buy another cake mix and ADD THE EGGS FIRST! I have previously mentioned that I have a slight love of pizza. Okay, okay, an absolute obsession. Thick or thin crust. Don’t care? White or red sauce? Either is great! Types of toppings? I’m open. Cheese? Mozzarella / feta / goat cheese…I ain’t picky. Meats? Any kind are fine. Veggies? All are welcome! False, almost all. I was in Croatia and got a veggie slice. There was corn on it. Not so great. Picked off the corn and the rest was great! Being a pizza fanatic I have found ways to eat pizza when the craving hits. Today, I share with you, the diverse ways to satisfy your pizza craving. As a bonus, I will share my newfound way of getting a pizza hit! My mother would occasionally make pizza for dinner. That enchanting smell emanating from the kitchen…yummy! Pizza night was the best! Our parents never ordered take out food. We never went out to restaurants to eat so pizza at home was divine. As we got older and started going out, the quickest way to satisfy a food craving at 1 a.m. was PIZZA! We would order a pie and eat this deliciously, hot, and satisfyingly fresh piece of heaven. Ah, nothing like pizza. Then one day, my view of this indelible meal drastically changed. I was at work and realized I had left my lunch at home on the kitchen counter. Hungry, I went to the nearby coffee shop and heard people ordering this thing called a “pizza bagel”. A what? It smelled like pizza. It sounded like pizza. New pizza heaven! Crunchy bagel, tomato sauce, cheesy topping. Needless to say, I became the hero at home when I reproduced this delectable feast. Slice the bagel in half. Toast it. Top with pizza sauce, cheese and your choice of toppings. Into the toaster oven and bake for about 15 minutes. BAM! Lunch was served. I shared this tidbit with many a co-worker who were grateful for this wonderful and easy way to make pizza at home for their kids. Then, one day, there were NO BAGELS! Trauma! Drama! I had promised the kiddies pizza and now…well, I had to think of something quick. I perused the contents of my fridge and inspiration came: Greek pitas. Pita bread pizza is so commonplace now, but I tell you, I invented this recipe! The reason I like Greek pitas is that they don’t have a pocket. They have a thin crust pizza thickness too. That day, I pulled four pitas out of the bag. I put them side by side on a cookie sheet and preheated my oven to 400 F. Then I told the kidlets that they could put whatever toppings they wanted on their “very own, personal pizza”. Who was the hero now? Woot woot! Yes, necessity is the mother of invention. My pizza cravings have never subsided (obviously), but I have found ways to shake things up. I make my own pizza at home with fresh pizza dough. I still cheat with the pita bread or the bagel version if I have last minute guests. Now, for my latest and greatest pizza version. PIZZA EGG ROLLS! 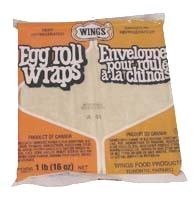 Egg roll wrappers are thicker than spring rolls wraps. You can purchase egg roll wrappers in the produce section of any grocery store. The spring roll wrappers are usually only found at Asian markets / grocery stores. Egg roll wrappers are easier to work with. They are thicker so not as easy to tear and you don’t need to have a damp cloth over them, like spring rolls, because they won’t dry out while you are filling them. Genius right? Thank you. First you grate up mozzarella and chop up pepperoni into small cubes. Next, in a small bowl, make an egg wash (one egg and a bit of water and with a fork mix, mix, mix). After that, take an egg roll wrap and put it in front of you so that it is sitting like a diamond. Put a dollop of pizza sauce in the middle. Add some mozzarella and some pepperoni bits on top. Take the bottom corner and cover the toppings. Tuck that corner slightly under the filling. Then take the left corner and cross over into the middle. Do the same with the right corner. On the top corner, brush some of the egg wash. This is like licking an envelope closed (for those of you who have ever had to seal an envelope. I’m showing my age again). It will seal the egg roll so that it doesn’t open up while you are frying. Put that flap into the middle and put your newly rolled pizza egg roll onto a parchment lined cookie sheet (they get kind of sticky so it’s easier to peel them off for frying if they are on paper. I have a deep fryer so I fry them in there, but if you are using a pot, make you sure you put in enough oil so that it will cover your egg rolls. Heat oil to 340 F (170 C). Put in about 4 egg rolls (in a small pot or 6 in a large pot or deep fryer). If you put in too many the oil cools off quickly. Since they float, you might have to flip them to get an even crunch all over so best to have only a few to deal with. Once they turn a lovely shade of tan / brown remove them with a kitchen spider or a slotted spoon. Place your wonderful new delectable creations onto a cookie sheet with a cooling rack on it. This helps to let more oil drip off AND the egg rolls aren’t sitting in their own greasiness getting mushy. If you are feeling brave, or are not averse to getting your tongue (or the roof of your mouth burnt) take a gloriously, satisfying bite. The crunch of the egg roll, stretchy mozzarella cheese, the yummy tomato sauce, the bits of pepperoni. Mmmmmmm. Once these cool, you can freeze them for up to three months. They can be reheated in the oven on 400 F for about 12 minutes. You can also take them out of the freezer and put them in the fridge to thaw. Reheating would only take about 6 to 7 minutes. The kids get impatient and just microwave them for about 40 seconds. Not as crunchy, but still satisfying. With regards to the filling, you can customize it as you would any pizza. Peppers, onions, olives, pineapple…the pizza egg roll is your oyster. You can even have a marinara sauce to dunk them in. If serving as bite size appetizers, cut them through the middle on a diagonal once reheated. They will look colourful and smell absolutely fabulous. I hope my newest pizza obsession is something you will try. Very versatile. Very portable. Very customizable. So many great options. Yes, diversity and equality…found in pizza. I refuse to go on diets. As Garfield the cat once proclaimed: Diet is Die with a ‘T’. I prefer to refer to it as a “watchful” eating plan. I will watch what I eat. Most often this entails watching myself inhaling pizza or continuously devouring a plate of french fries. Yes, I have watched myself do this many times. However, as I age, I do realize that I should be adding fibre into my daily meal plans. I have also introduced yogurt with some fruit on a daily basis (this is day two, in case you are wondering how long I have been at it). I have determined that I need more vegetables in my daily eating habits as well. As such, I have deemed Asian food to be my “go-to” as I do love a good stir fry which can contain many, many varieties of vegetables. In keeping with the Asian spirit, I have also gone to my local “Dollar Store” and purchased something that I believed would assist me in fulfilling my destiny of enjoying the consumption of my Asian cuisine. You guessed it…chop sticks. Let it be known that I have never really used chop sticks. I am an avid fork user and an occasional user of spoons. Chop sticks have always intrigued me. The first time I actually tried to use chop sticks, they managed…ahem…I managed, to make them cross over and actually fling a piece of meat off my plate onto an unsuspecting table. After my fingers cramped over and over again from the exertion, I relinquished my wooden apparatus. Basically, I woos-ed out and grabbed a fork. For shame! However, on this evening, I decided to attempt the impossible yet again. Ha-zaaa! I had procured a lovely beef and vegetable stir fry. The beef was super tender (I had worried about over frying it). The mish-mash of vegetables would have made a dietician proud: broccoli, red onions, red peppers, baby bok choy, carrots, celery, snap peas, mushrooms, and crunchy bean sprouts. Oh my! A smorgasbord of delightful vegetables and beautiful colour. I added some rice into the mix and was ready to proceed with my healthy feast. I put my stir fried creation into a lovely bowl and proceeded to google how to hold chop sticks. Yes I did. I practiced and was ready to chow down on my homemade creation. Hmmm, playing with the chopsticks felt easy…until I actually tried to pick up food. My first attempts were quite successful. I picked up the succulent beef and shovelled it into my mouth. Success! I think I became too cocky. After the first few attempts I became more clumsy and tense. My fingers were actually turning white from white-knuckling. What had happened? Eventually I changed over to the scoop method. That worked for awhile and then I finally decided that I was super hungry. Back to my reliable and trusty fork I went. That gleaming dart of food happiness. I devoured the rest of my meal. I will not give up. I shall try to use the wooden spikes again. Try, try and try again. I will not give up! Well, I will give in if my fingers cramp up again, but after that I will figure out how to eat with these food fantasy sticks. If I can’t figure it out on my own, I am sure someone can give me lessons. There is probably a 3-year old who has it down pat. The silver lining of this adventure: It took me waaaaaay longer to eat my meal. It gave me time to think and analyze my eating procedure. As such, I actually felt fuller much quicker as I was not inhaling my food as I usually do. It made me appreciate every flavour and every vegetable I was biting into. Hmmm….perhaps I have found my new watchful eating plan. Eat slower. Digest slower. Enjoy the time more. I think it’s a solid future plan. P.S. If anyone can give me the “Dummy’s version” of how to use chop sticks I would be very, very grateful. This is a true story. I am not proud of this occurrence. I actually do feel quite idiotic about it. I do, however, feel it is my duty to share with you the dangers of soda pop; specifically those in 2 litre bottles. Please, heed my advice and make sure you share this with family, friends, and anyone else you see buying such a bottle. You could help prevent such trauma entering their lives. It all began one winter evening. I was sitting in the living room watching tv. Waldo and Lucy (my dogs) were snuggled up beside me. I had just finished making some homemade chicken soup from scratch. I had turned the heat down to minimum under the pot so that it could happily simmer for a couple of hours. The house was already smelling good. It was nice to sit back and relax and enjoy some quiet time. Wiseguy was working the night shift. No kids were in the house. Peace and quiet reigned…until IT happened! I heard a gunshot come from the direction of my kitchen. I screamed out loud! My heart was pounding. 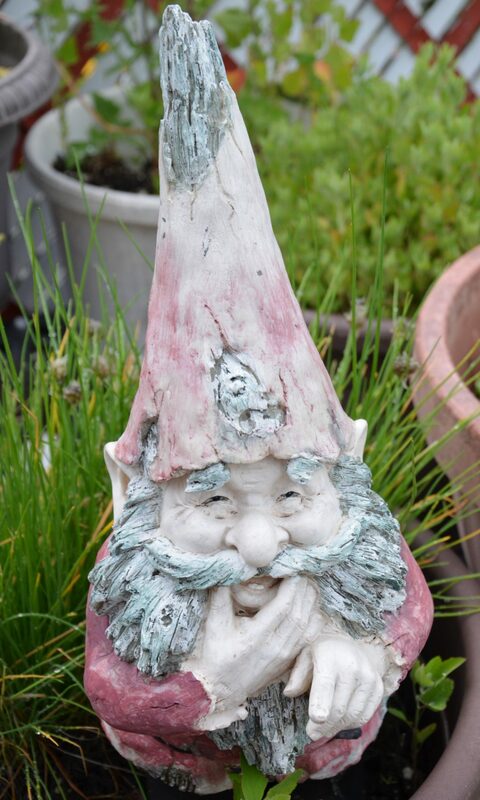 I walked cautiously toward the kitchen entranceway; I was alone and afraid. I stood in the doorway…my mouth agape. I was in shock. I couldn’t move. My eyes slowly moved around the scene in the kitchen, trying to compute what had happened. What HAD happened? This is what I saw as I looked around the room: My walls and cupboards were covered in something brownish. I looked at the pot on the stove. The lid was slightly askew to allow steam to escape, but no evidence of an explosion. I saw my floor covered in brown liquid as well. Where had it come from? Suddenly I saw drops coming from the ceiling. I looked upwards…GASP!!!! There were brown droplets falling from my now-brown-previously-white ceiling. What had HAPPENED!!?? My brain could not compute it. Then, as if guided by a higher power, my eyes locked onto the culprit. You have probably already figured out what transpired. If not, here is the play by play. Two litre, plastic Pepsi bottle a foot away from the stove; new…unopened. Pepsi bottle was slowly being heated; refer to #1 in play by play. Pepsi bottle no longer had room for expansion. BANG!!! Explosion of said Pepsi bottle. There was about an inch of that beverage left in the bottle…the rest was catapulted into the ceiling and dispersed ungraciously all over my counters, stove, fridge, windows, blinds, floor, table, coffee maker, toaster, dishwasher, etc. Meltdown…no…not the bottle; I crumpled to the floor in the hallway in shocked bewilderment. I felt a small body brush up beside me. CRAP! The dogs were trying to get into the kitchen! I hollered, “NOOOOOOOOOO!” at the dogs who then proceeded to back off. So…where would you begin the mind-boggling clean up? Floor? Just watch out for the Pepsi drops from the sky. Ceiling? Yes, you could start there, but how do you get to the ceiling without stepping into one of the puddles on the floor? How about counters? Cupboards? Fridge? What would be the best plan of attack to wash up a room, literally, sprayed in soda pop. Yes, quite the conundrum. Where did I start? I don’t know. I honestly don’t recall. I believe I was so traumatized by it, that I erased the actual cleanup from memory. I tend to have sketchy thoughts about towels on the floor and a step stool to reach the ceiling, but it’s all kind of muddled; dream/nightmare or reality. Not sure. For weeks and many, many months after that “cleanup” I would find sticky spots somewhere in the kitchen. Oh, it had spattered into the hallway too. I learned that when my foot stuck to the floor. I’d open a cupboard to pull out a plate and find brown spots on it. Just when I would think it was all gone, I would find evidence of it somewhere else. Years later, when we decided to renovate our kitchen, we pulled out the fridge and the stove and guess what we found? A Rorschach test of that spiteful drink. After washing that wall, and covering it with tiles I can finally say that I have never seen another spot of Pepsi in the kitchen. That was the end of the nightmarish soda fountain episode. The one other part of this true-life horror story is really the irony of the whole situation. You see, I don’t drink pop. I can’t stand the stuff. When I was younger and used to drink it, I actually preferred Sprite or 7Up…bubbly and clear liquids! Ironic right? I had a volcano of brownish sugar-beverage all over my kitchen and I never even drank it. I learned a valuable lesson that evening and I urge you to share this knowledge…for safety’s sake. I no longer buy two litre bottles of pop. No more large, plastic potential bombs in my humble abode. I prefer to purchase the lovely, aluminum can versions of pop. For safety reasons, these sugar drinks are stashed away inside the fridge at all time…far, far away from any and all sources of heat. Moral of the story: Soda pop can be hazardous to your health…especially your mental health.